This is a roundup of the smallest hooks available for tying jig-style nymphs – #16s, and a couple rated #18. I likely have missed a few, and would welcome any suggestions of hooks to add to this collection. These are illustrated to the right, along with a few #14s for size comparison. Most of these #16-18s have an overall length of ~1 cm or just under 1cm. ; my focus here is on the smallest of these hooks, suitable for tying the smallest of my jig-style nymphs. The Dohiku HDJ #18, and the Hanak 450 BL #16, have been my go-to hooks for most of my smallish jig-style nymphs. These are of similar overall and straight-segment/body length, both with long curved needles with wide gape, both insanely sharp. The Dohiku is more delicate, of lighter wire; the Hanak has the wider gape (helpful in this smaller size), these two hooks along with the larger Fulling Mill 35045 #16 having the widest gapes in this collection. I’ve recently obtained the newer Hanak 470 BLs, and have been using this smaller hook along with the Hends 120 BJ#18 for some of my tiniest nymphs. The smallest hooks in this collection are the Dohiku HDJ #18, the Hends BJ120 #18, the Hanak 470BL #16, and the Tiemco TMC 403 BL #16. The Fulling Mill 35045 #16, tho a very nice hook with excellent hooking and holding properties, is larger than most of these others. Smaller nymphs may need to be tied short on the smallest of these hooks, or tied on conventional, rather than jig, hooks in smaller hook sizes. Gape is important to me in these smaller hooks. In addition to more securely hooking all fish, some of my streams have healthy populations of mountain whitefish on which these smaller nymphs are particularly effective; their mouths are soft, and although I fish primarily for wild cutthroat and rainbow trout, I certainly have no argument against securely hooking and landing a few 16-20″ whitefish in a day’s outing. 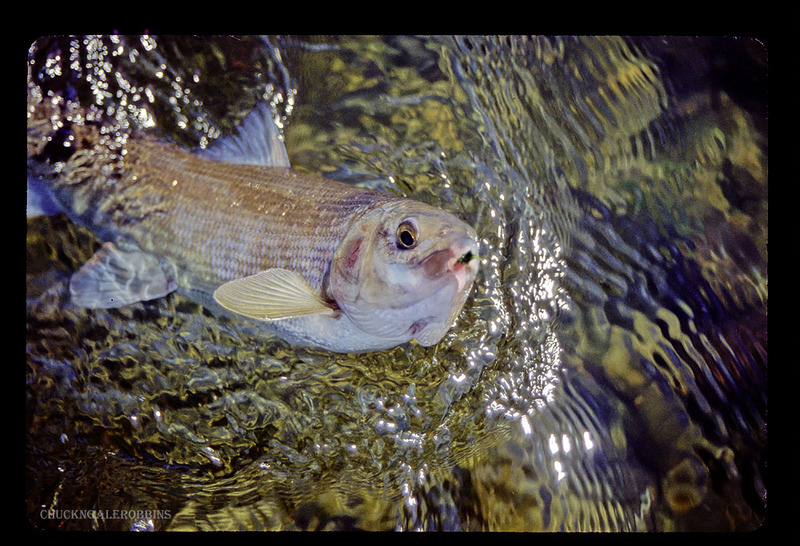 Think of them as Pacific Northwest grayling. They don’t jump and rarely take flies on the surface, but they have shoulders. The Hends BL 154 and FishOn 90º jig hook have an eye bent in the horizontal plane (perpendicular to the plane of the bend) rather than the vertical plane (in line with the turn of the bend); which may be significant in competitive circles. Not illustrated here are Dohiku’s similar 302 SP and 302 SPR (lighter wire than the SP) in #16. These hooks might be most significant to competitive anglers, as some competitions apparently frown on a vertically-turned eye. I do tie on these hooks, but I’ve not identified any distinct advantages/disadvantages to this hook geometry in ordinary use, and actually slightly prefer the vertically-turned eye for ease of threading. Merely a small personal preference, I can easily see others feeling otherwise. This entry was posted in fly tying materials, hooks and tagged fly tying, fly tying materials, hooks. Bookmark the permalink.